As we watch the decline of retail, we might be forgiven to think that all fashion sales in the future will be online. This simply is not the case. In a recent report by Bain & Company, it is been projected that e-commerce sales, especially when it comes to mid to luxury brands, will plateau by 2025 at a ratio of 20% online in comparison to 80%, which will still take place in physical stores. For the big companies that have the finances to make that shift from wholesale and retail to online, it’s easier as they are set up and have the staff to pivot the business. For smaller brands who were not previously e-commerce, it’s a different ball game altogether. There are so many issues that suddenly appear when you shift to being an Omni-channel brand. In my talk at Pure Olympia this year, I touched on our reasons why we shop online or in-store. Convenience, of course, is the key to why sales are moving online, but at what expense for smaller independents? No brand, until they launch online, really understands what percentage of their sales will come hurtling back to them until they test the market. In addition, the cost of managing returned stock from customers and the question of who pays for the cost return delivery of the garment can come as a shock. Customers expect free and convenient return services. I want to talk about the elephant in the room – the reason why it is been returned. Let’s just say it as it is: we are not in the business of selling furniture or crockery. It’s not a one size fits all industry. The fashion business sells garments that need to fit a moving human being, and no two of us are the same. Therefore, if it does not fit the customer, then it does not serve its core purpose. Why brands overlook this, as core competency they need to prioritise, is a mystery to me. I’ve worked with many brands that succeed in wholesale, but are surprised by returns when they take their business online. Boutiques may buy their brand because it’s colourful, a trending label, or it looks visually distinct. The difference is that the end customer can make their choice in that store, and can actually try the garment on. They also have a sales assistant talking through what makes it a great buy. They can decide then and there: Does this suit me? Does this fit me well? When it comes to e-commerce success, the fit is incredibly important because although you make more margins with E-commerce sales, your level of returns can easily wipe it out. Indeed, selling online is a very different space and to do it well you need to make sure your product delivers. In other words, once you send the order, it shouldn’t come back. Having worked with the icons of the business and trained in luxury brands, I’ve worked hard to instil that best practice regarding fit when working with independent brands. I talk at length in my book about what makes a great fit, as I’m a stickler for detail. When working closely with Clare Hornby, founder of ME+EM, she was keen to master fit. My suggested priority was to create bespoke blocks for the brand, and alongside her talented and like-minded garment technologist, not only did we grow sales but also simultaneously halved the rate of returns. All a result of our due diligence around fit. You have no idea how many times I’ve come across brands that are really obsessed with marketing or social media to get sales up when instead their business would fly if they just concentrated on elevating the product they deliver. These brands frequently don’t even have their basic internal process in place. No fit model, no mannequins, no fit guidelines, and huge variations in sizing across categories. When I work with clients on product development strategy, I advise they invest in a mannequin, and my go-to company is Alvanon. Getting key blocks standardised across the categories is a priority. It does take time, but testing and keep monitoring the results makes fine-tuning possible. Data analysis is crucial to read the results and iron out true issues. My obsession with fit is shared by Janice Wang, CEO of Alvanon, whose family have made a global business from it. Her company has such incredible knowledge of fit and is constantly monitoring the global market to create state of the art mannequins and more importantly, share their insights on this key aspect of production. I caught up with her and her team for a quick-fire Q&A. JJ: What three key challenges do brands face when it comes to fit? AL: Fit consistency between categories (the ability to buy the same size across categories), fit consistency season to season, not representing the fit of a garment accurately at E-Comm. JJ: As e-commerce grows steadily what could brands do to reduce returns? AL: Expanding on the above: improve the way product is represented online, as well as use the data they’re collecting to read concerns about the product more accurately. JJ: What are are the three most important factors to take into account when you establish a specific fit or fit blocks for your business? 3. Actually, use the fit blocks that have been developed. JJ. What are the most common mistakes that brands make when it comes to fit? 1. Too many cooks in the kitchen. 4. Internal team members making fit judgements based on their own fit experience, not the customer experience. JJ: Is that the same for large or small brands? #1 is more common in big brands. #3 is more common in small brands. 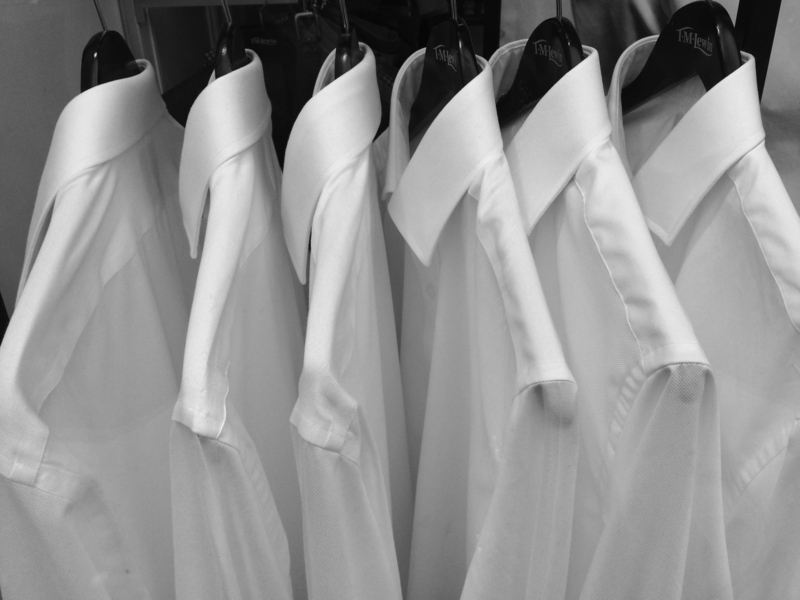 JJ: How do you grow a global fashion business and accommodate physical differences? AL: Use data to understand regional differences and develop merchandise mix that accommodates those differences. JJ: Your key piece of advice for perfecting fit for an ever more discerning customer. AL: Listen and look at the customers who shop your brand (product reviews, in-store forums, focus groups) they are trying to tell you something! There will come a time when we will all just upload our vital statistics to software, then have bespoke garments created for us. Until then it takes expertise, integrity and time to perfect a brands fit. Meanwhile, as many brands might boast that online sales are up, the truth of their business margin lies in the level of returns. Stand out from your competitors. Contact us today and find your perfect brand fit. Learn more about Alvanon here. 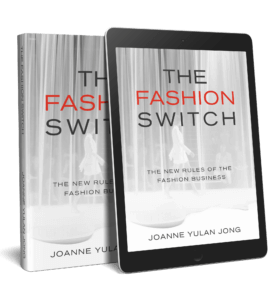 purchase your copy of The Fashion Switch on Amazon today.